A few weeks ago we hit up Disgraceland for the first time in Bloor Court. The place is a little bit divey but they are known for their bar food and wide variety of vegetarian/vegan options. I’m not a vegan by any means but I like to try the occasional vegan cuisine for fun. 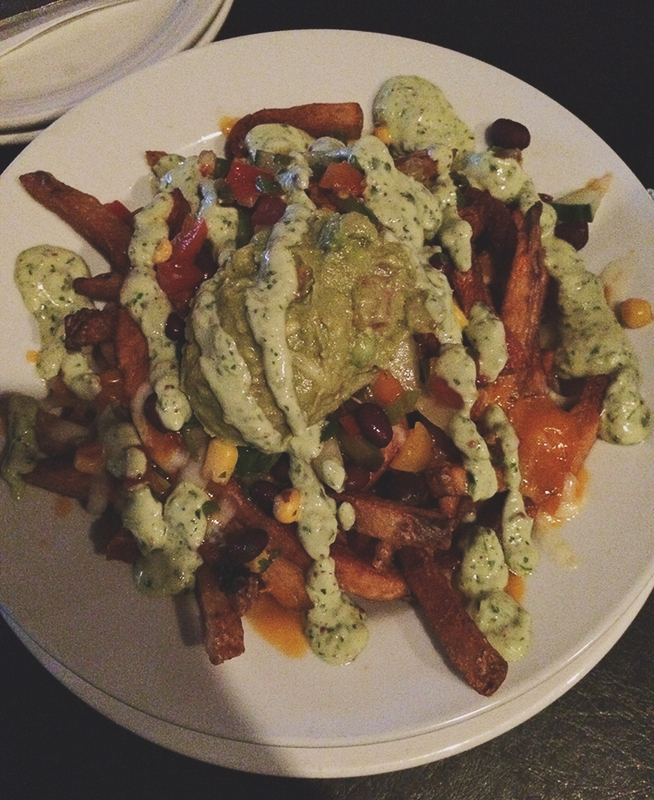 The first thing I ordered was the Cinco de Fryo ($9 pictured above)- fries topped with cheese, black bean corn salsa, guacamole and cilantro mayo. The ingredients worked really nicely together and I enjoyed the flavour of mayo. Not entirely sure why, but I also had the Vegan Rib Dinner. Since I really enjoyed Hogtown Vegan’s take on meat goodies, I thought I’d give them a shot here. However, the ribs turned out to be dry and after a few bites, I didn’t find them appetizing at all. 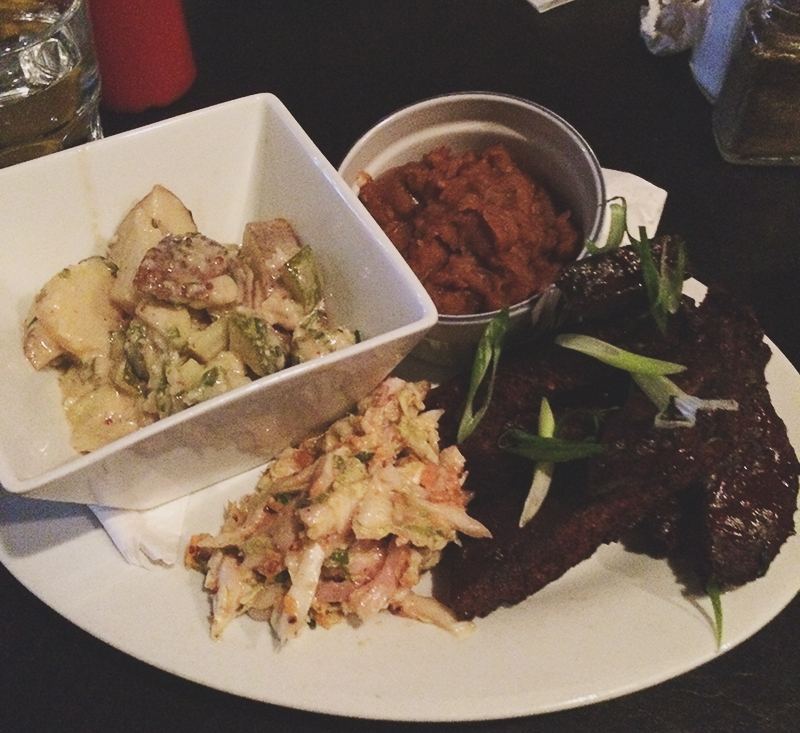 I kind of lost my appetite for the beans and the coleslaw after trying the ribs. 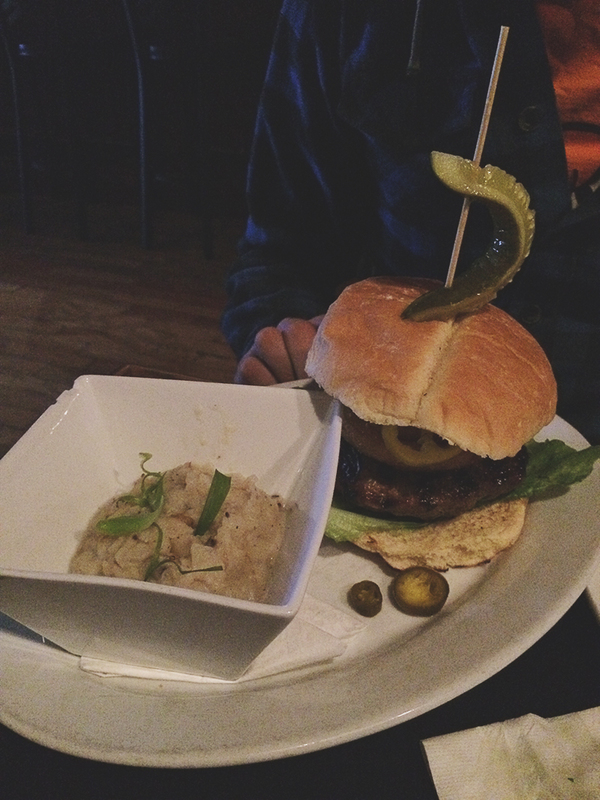 Nash ordered the Lord of the Rings burger, which is really what I should have got. I’m not sure if meat-eater bias came into play here, but I really didn’t enjoy the vegan dish I ordered. The fries on the other hand were very good and I heard no complaints about Nash’s burger!